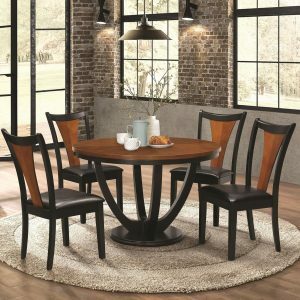 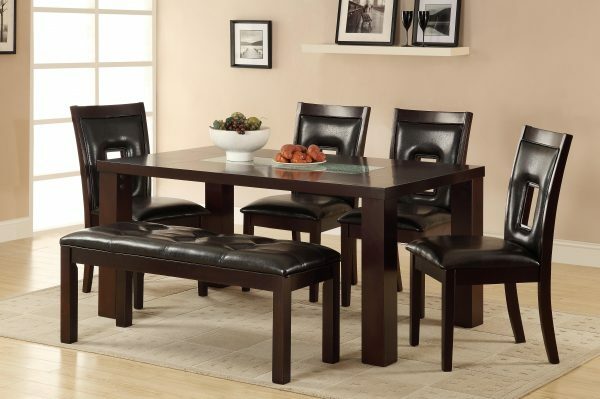 Completely modern in all aspects, the Lee Collection enhances your dining room with clean lines and unique design elements. 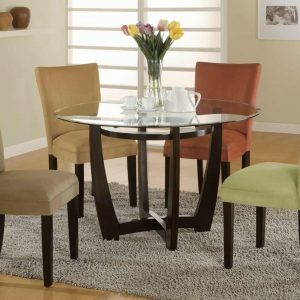 Blocked asymmetrical veneer frames the crackle glass insert on the tabletop – all supported by thick rectangular column legs. 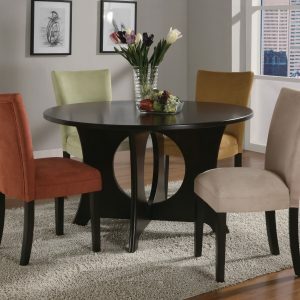 Keyhole-back side chairs, along with bench, are upholstered with dark brown bi-cast vinyl.